Their Royal Highnesses’ visit, which is at the request of the British Government, will celebrate the U.K.’s partnership with these Commonwealth Nations on shared priorities in advance of the Commonwealth Summit in April 2018. 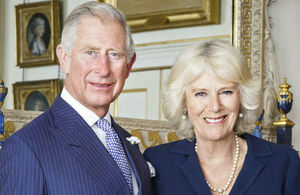 The Prince and The Duchess will visit Sarawak and Perak. His Royal Highness will see first-hand the work being done to promote wildlife conservation and the protection of biodiversity. Their Royal Highnesses will also meet members of Sarawak’s diverse indigenous communities. The Duchess of Cornwall will meet representatives of Purple Lily, a non-Governmental Organisation committed to inspiring and empowering disadvantaged women and young girls by providing life skills training and financial education.